Truly isotonic formulation - no need for water. The Isotonic formula allows the gel to empty from the stomach quickly as no fluid needs to be drawn into your stomach to dilute the gel, providing fast energy. For easy mixing use SiS sports drinks bottles which have markers to indicate the correct level of powder. The specific formulation of SiS GO Electrolyte represents a strategic approach to offset the negative effects of carbohydrate depletion and dehydration on your performance. About SiS GO Electrolyte. Benefits of SiS GO Electrolyte. The specific formulation of SiS GO Electrolyte represents a strategic approach to offset the negative effects of carbohydrate depletion and dehydration on your performance. 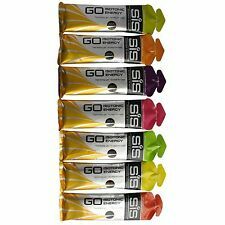 About SiS GO Isotonic Gels. SiS GO Isotonic Gel Apple 60ml single x 1. SiS GO Isotonic Gel Orange 60ml single x 1. Add 1 SiS GO Hydro tablet to 500ml of water and let it dissolve. If fluid and electrolyte losses are not replaced, dehydration occurs which is a major cause of fatigue. SiS GO Hydro can help prevent this, with the aim not to lose more than 2% of our body mass. 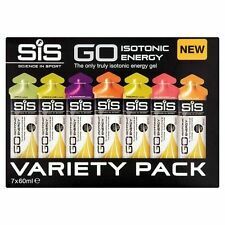 About SiS GO Isotonic Gels. SiS GO Isotonic Gel Apple 60ml single x 5. SiS GO Isotonic Gel Orange 60ml single x 5. GO Energy Mini Bars (Blueberry) are high in carbohydrate (26 grams), moderate in protein (4.5 grams) and low in fat (2 grams). Contents: 20 x 40g Bars. Per Serving 40g. Leader in endurance sports nutrition. 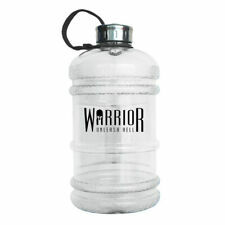 Warrior 2.2L Jug. A high quality jug that holds 2.2 litres of liquid. BPA Free and fully recyclable. Key Facts. Add 1 SiS GO Hydro tablet to 500ml of water and let it dissolve. It was developed to keep the British Sailing team optimally hydrated at the 2008 Beijing Olympics. 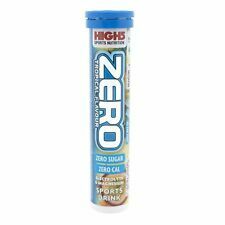 Simply drop a tablet into water for effective hydration, with virtually no calories, before and during sports. Pure Caffeine tablets 250 x 200mg (High Strength) – 100% Energy & Power Booster! GO Energy Mini Bars (Banana Fudge) are high in carbohydrate (26 grams), moderate in protein (4.5 grams) and low in fat (2 grams). Contents: 30 x 40g Bars. Per Serving 40g. Leader in endurance sports nutrition. 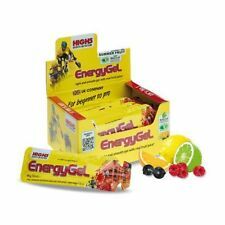 About SiS GO Isotonic Gels. SiS GO Isotonic Gel Apple 60ml single x 2. SiS GO Isotonic Gel Orange 60ml single x 2. Urban Fuel Caffeine 200mg 100 Tablets Refill Pouch. The Isotonic formula allows the gel to empty from the stomach quickly as no fluid needs to be drawn into your stomach to dilute the gel, providing fast energy. During endurance exercise lasting over 90 minutes, these should be the main gels that are used throughout a race.